Please note that this book is currently only available exclusively from networkonair. 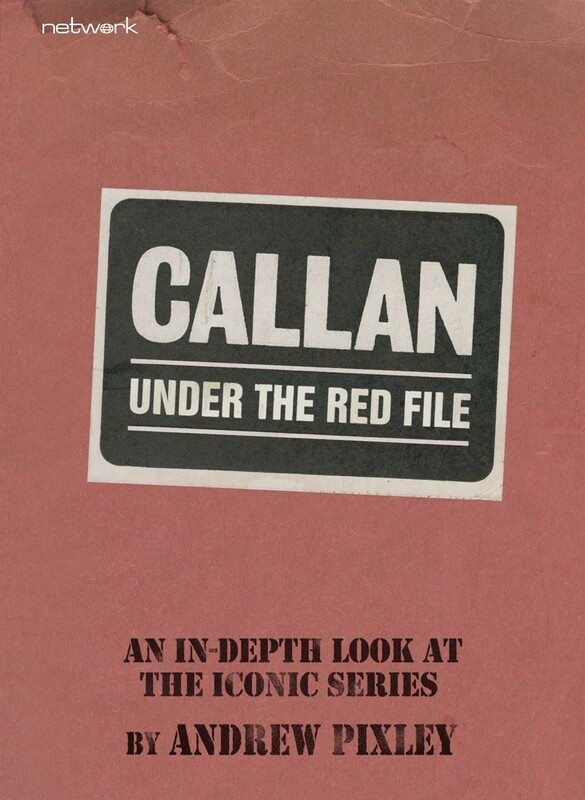 Our Callan DVDs, however, are available from all good retail outlets. Nearly ten years in the writing, Callan: Under the Red File has been a labour of love for both Network and the book's author, Andrew Pixley. Anyone familiar with Network's releases will know our history with Andrew is a long one and he has done some excellent work for us over the years – with his books on The Prisoner, Danger Man, Public Eye and The Professionals all raising the bar for this type of archive research. Ahead of our upcoming Callan documentary, you can now buy Andrew's new book exclusively from networkonair.com. Initially a cult success before becoming one of British television's most watched programmes, Callan brought the gritty, downbeat angle of Cold War espionage to 1960s British television. In stark contrast to the glamour of James Bond and the stylized capers of The Avengers, the man known as David Callan was a highly skilled killer, tasked by the Government to eliminate threats to national security. This reluctant, conscience-wracked assassin was brought to life in a remarkable performance by Edward Woodward, cementing his popularity as an actor many years before he achieved major international success in both Breaker Morant and The Equalizer. This exhaustive book is the definitive look at the creation, production, broadcast and reception of all four series. From its conception as a one-off BBC play, through its development by ABC Television, its success as one of Thames Television's highest-rated programmes, its subsequent ATV revival and its expansion into novels, short stories and movies – this single volume covers every aspect of James Mitchell's most successful creation.